If you're expecting Samsung to come out with a major redesign of its flagship phone next year, you might end up disappointed. According to a report published today in Korea, Samsung is planning on keeping the design of the Samsung Galaxy S7 the same as the Samsung Galaxy S6. That doesn't mean that there won't be any changes, as the manufacturer is said to be looking at improving the overall performance of the phone, along with the quality of the display and the camera. "The S7 will get a little change," says one source. With the Samsung Galaxy J series providing most of Samsung's market share gains this year, the company is realizing that a combination of good pricing and hardware is more important to the consumer than a glitzy design. As a result, the Samsung Galaxy S7 should end up looking like its predecessor, although it will be faster and more powerful. The Exynos 8890 SoC which is expected to power the handset everywhere but the U.S. and China, recently scored an AnTuTu benchmark score above 100,000. U.S. and Chinese versions of the phone will reportedly feature the Snapdragon 820 chipset inside. Despite rumors that the Samsung Galaxy S7 will be unveiled next month, the last two models have been introduced the day before the MWC starts its annual show in Barcelona. Considering that Samsung has scheduled an Unpacked event for February 21st, the day before MWC opens its doors next year, the odds favor that this will be the date when the Samsung Galaxy S7 is officially announced. Hoped they would have a SD card access. SD card and larger battery! Keep on dreaming. The iPhone is two years behind the Android Flagships. You want that which you would like to have? Get yourself a NEXUS or LG G4 or LG V10. They have all the goodies. Don't want to spend a lot. Well, here comes the Zenfone 2 and Zenfone 2 Laser. Actually, the NEXUS don't have replaceable battery or x-tra SD memory card but you get the Pure Android, meaning no skins, no bloat ware. But the LG has all those "moving " features and so does the Zenfone. Don't be hooked up on a name brand. Read, educate yourself, then buy. You will save a bundle. Good luck. The removal of the sdcard had nothing to do with the new design of the phone. It was because UFS 2.0 didnt have a compatible controller for using one. Try to understand that the controller for eMMC is uni-directional while the UFS controller is bi-directional. The only way to bring sdcards back would be to either go back to the old way, of create a way to have both. However having 2 controller on the same bus would seem that the sdcard controller would cause the UFS controller to slow down, unless Samsung finds a way to give it its own BUS. Why couldn't Samsung just add 2tb internal? If the lg v10 van have a 2tb SD card, why can't phones put 2tb in as stock? Why is Meizu pro 5, which employs exynos chipset, compatible with SD card? No removable battery = FAIL No microSD = FAIL FRAGILE glass construction = FAIL The LG G5 will be replacing my Samsung S5. LG G5 will also have the SD card. Metal is stronger than glass unless you put a much thicker glass material so Galaxy S7 will be 2 inch thick? Some ppl need to wake up. All i agree with you guys is thats removable battery is overrated all my last phone had built in battery and better battery life than the phone i had before. So! 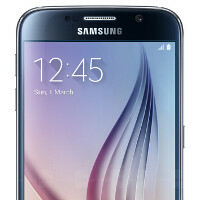 Sales numbers says it did fail considering all the S6 models combine have likely sold more than 70M total. Because for nearly a month, the S6 Edge+ was near impossible to find. S6 sales number look good. But revenue is falling down the drain and the total sale compared to earlier model is nothing impressive. Also S6 ( edge more than any others ) have load of screen and overheating problem ( had client with melted gelskin cases... ) So sorry dude. Because Samsung is being hit hard on the low end. They have no competition on the high end except against Apple. Right now I am confident that the combine sales of the S6 and Note 5 all were equally as high as iPhone sales for 2015.
as much as i hate apple how is apple not a fail since its got all of the above ? qwerty go play with your priv a f off no one wants you on this site. Denser battery, hopefully inclusion of SD card.